Back in the day pickling foods was to make them last longer. Now days it can also be used for that, but it is mostly used for taste and flavoring foods. 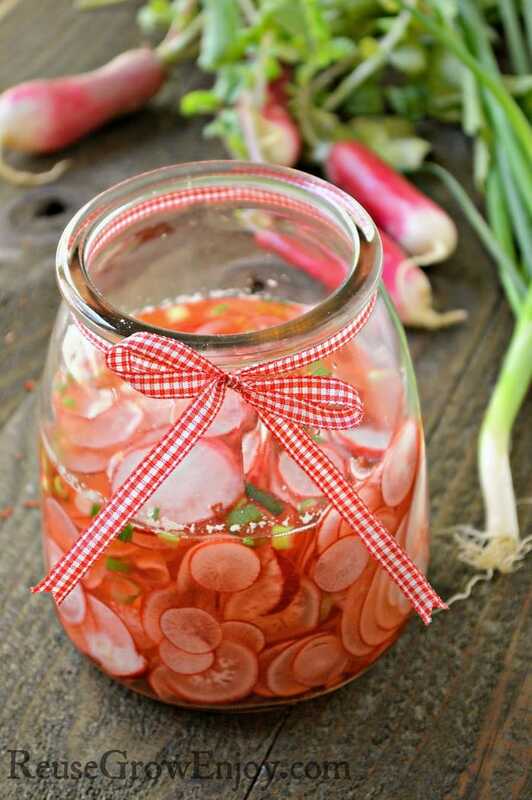 It you like that pickled taste, I think you will enjoy this recipe for pickled radishes! It is a great way to use some of that garden produce that does not normally get used that much. Not only are these super yummy on salads, burgers and lots of other foods, they are super easy to make! 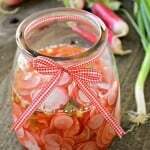 Even if you have never pickled something before, or are not a good cook, you will still be able to make this pickled radishes recipe. While you can put this in any container with a lid, I recommend using glass. This could be a canning jar or even a seal glass canister. 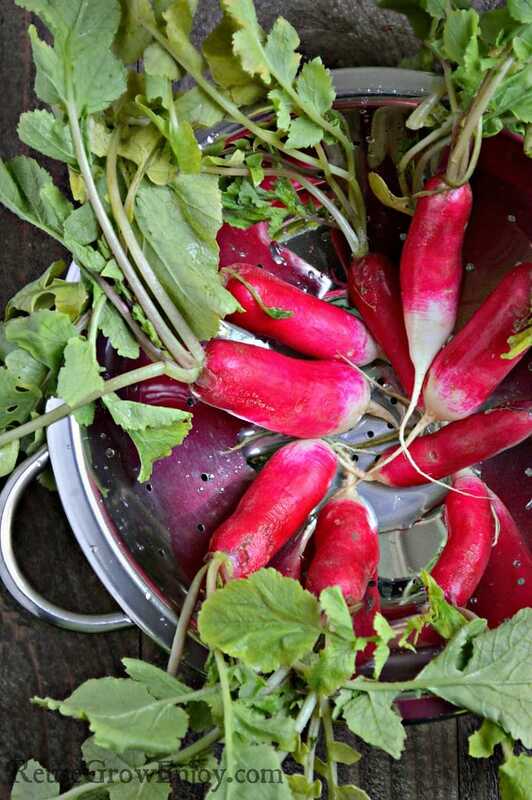 You’ll notice that the liquid turns red as the radish losses it’s color. If these are not sealed from canning, they keep well in fridge for about 2 weeks. You may also want to check out my post on Water Bath Canning, What It Is And How To Do It. In a microwave safe glass bowl heat up the water, vinegar, salt, pepper, red pepper flakes and honey until dissolved. 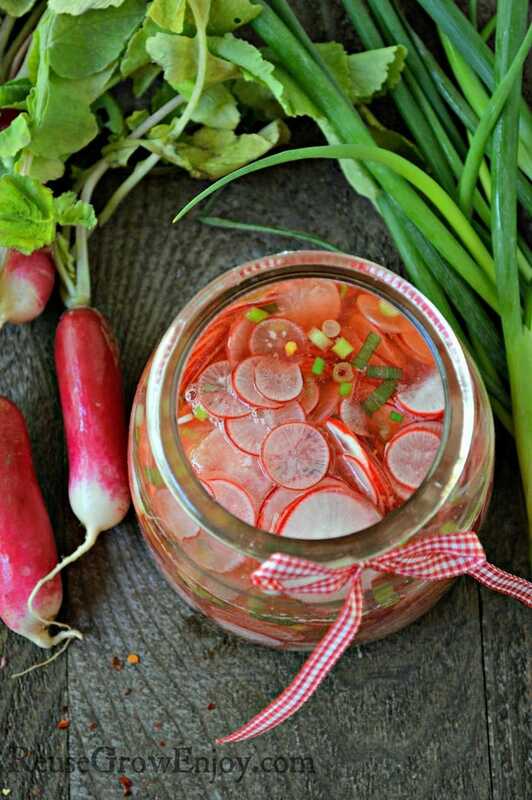 In a clean canning jar add the sliced radishes and garlic, then pour the vinegar mixture over the radishes. Allow to cool and put in the fridge. They'll be ready in 24 hours. 1/2 teaspoon each of pepper and red pepper flakes? I assume that’s the correct measurement, but the detail is missing from the recipe. 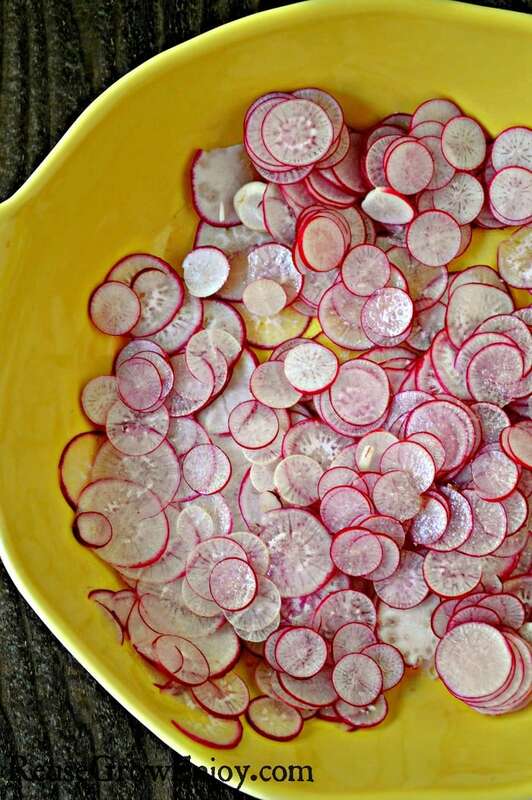 This sounds good – and I always seem to have more radishes than uses for radishes, so I’m going to try it! Thanks! That is correct Trish. It is 1/2 tsp of each. Hi Jill, they would need to be processed in the water bath (rolling boil) for 15 minutes give or take depending on altitude.